We buy and sell a wide variety of gold coins from Iran along with other rare Iranian currencies. Iranian coins are commonly circulated in dinars, which are fractions of the widely used Iranian currency rial. Most Iranian coins that have been minted in the .5 to 5 rial range were made of silver. 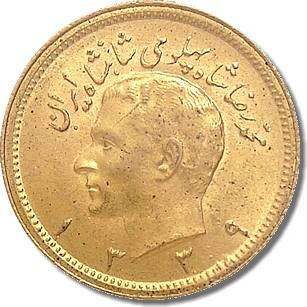 There are also gold Iranian coins known as pahlavi which are worth 100 rial. If you are looking to buy or sell Iran gold coins then William Youngerman is the coin dealer for you. We have a wide selection of gold coins from Iran for sale along with other rare currencies. Do you have Iranian coins that you would like to sell? We offer the best on-site grading and appraisals of Iranian gold coins and will present you with an immediate written offer on the spot. Call us today at 1-800-327-5010.